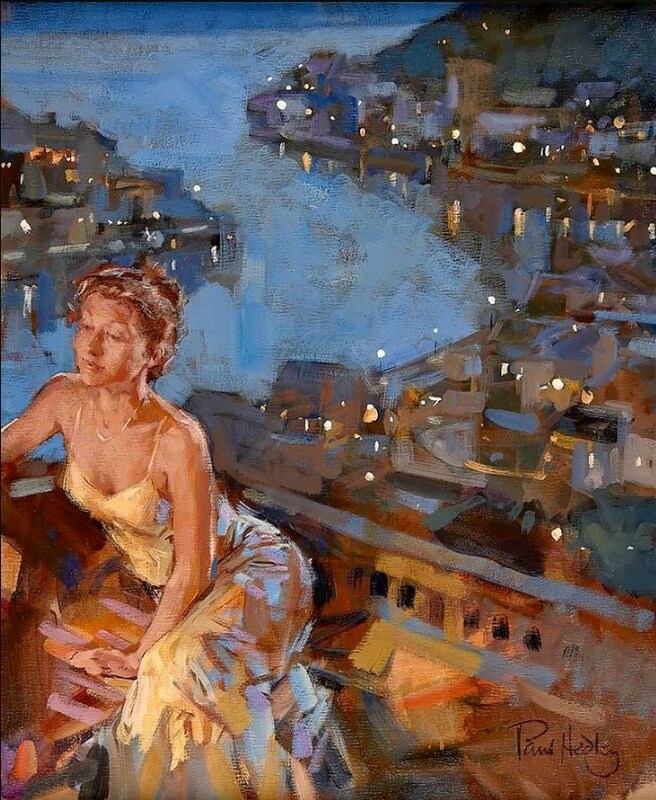 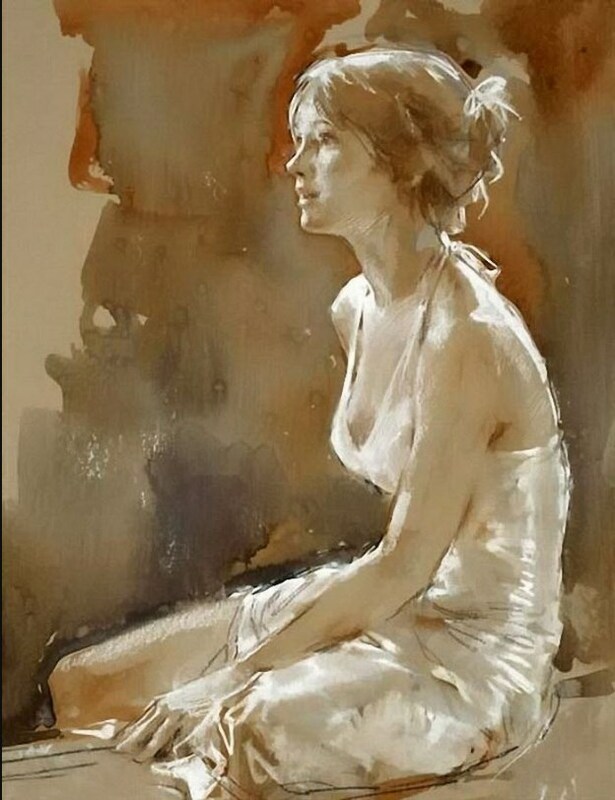 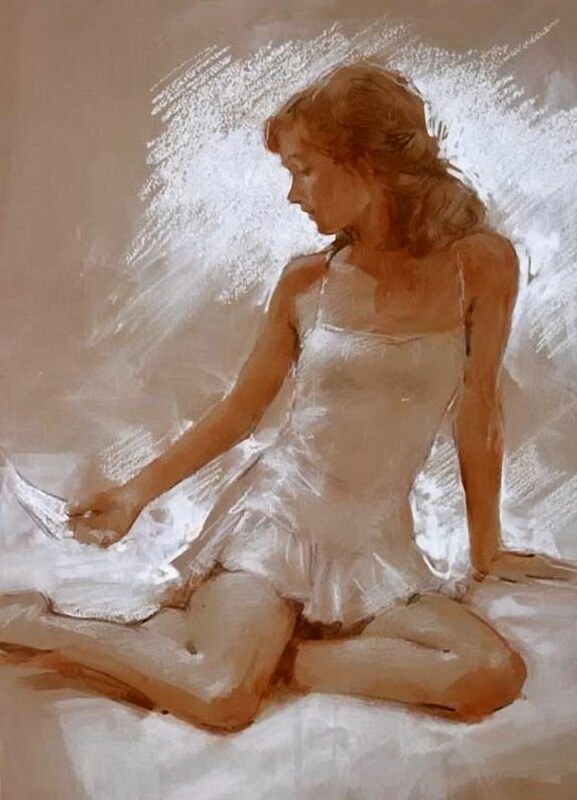 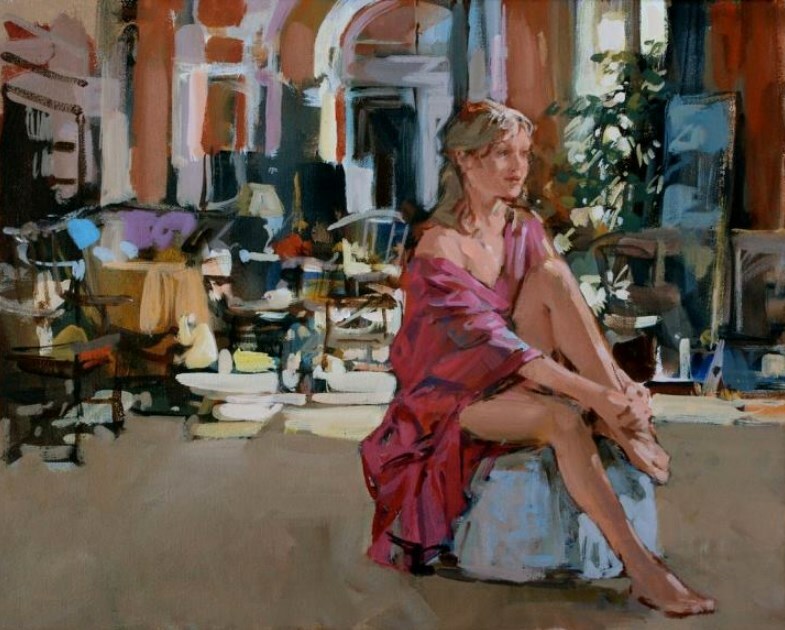 Paul Hedley, figurative painter born in 1947 . 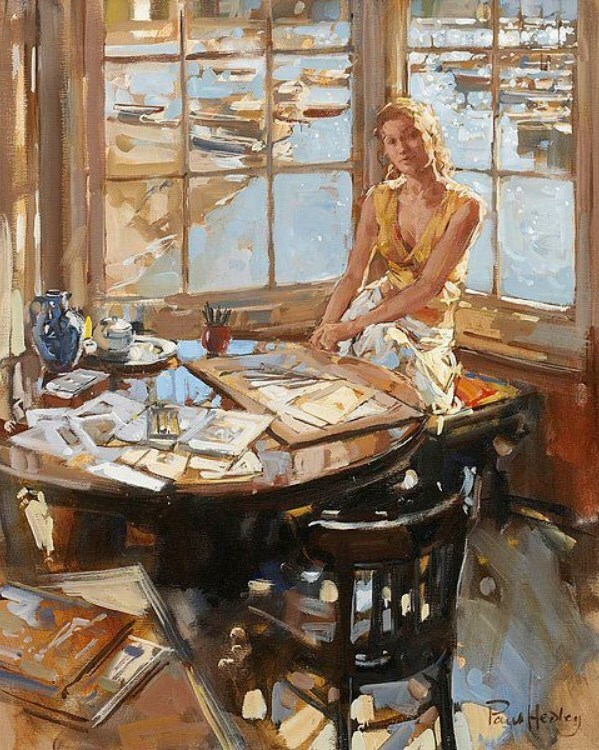 Paul Hedley lived his childhood in Chatham, Kent. 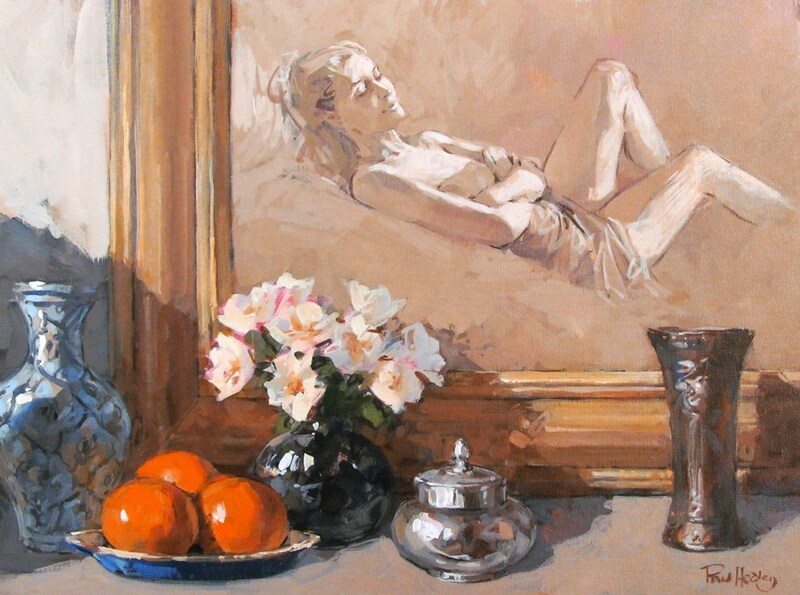 He studied art at Medway College of Art from 1966-68, and then later at Maidstone College of Art where he was awarded the Diploma in Art and Design. 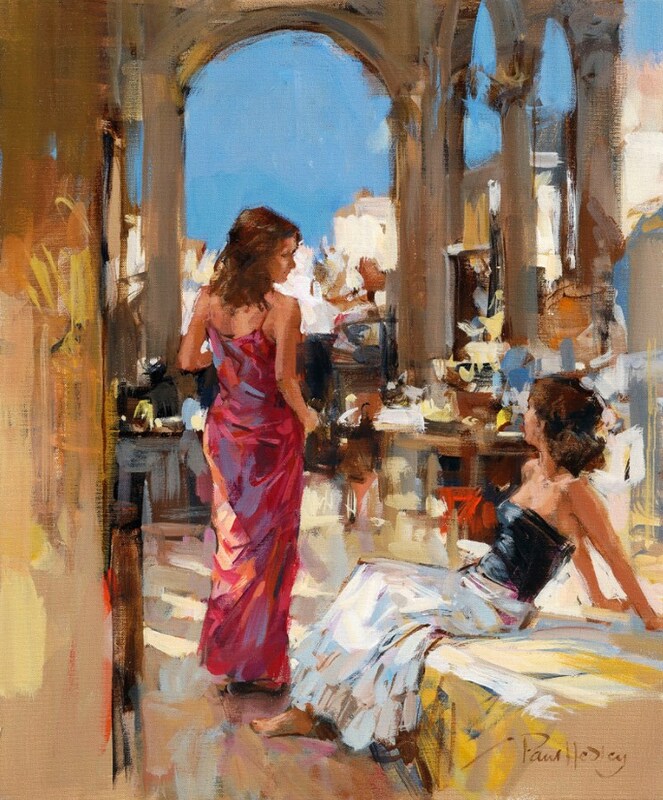 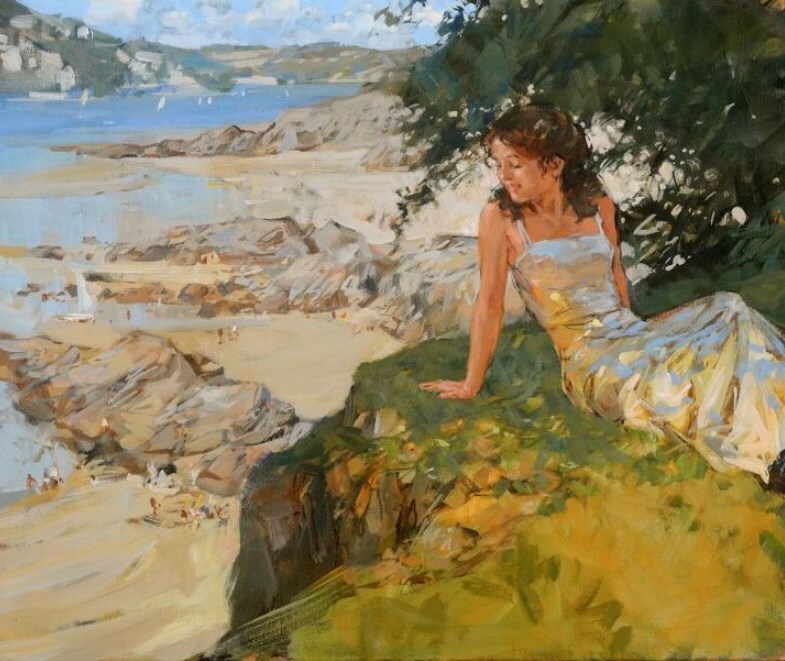 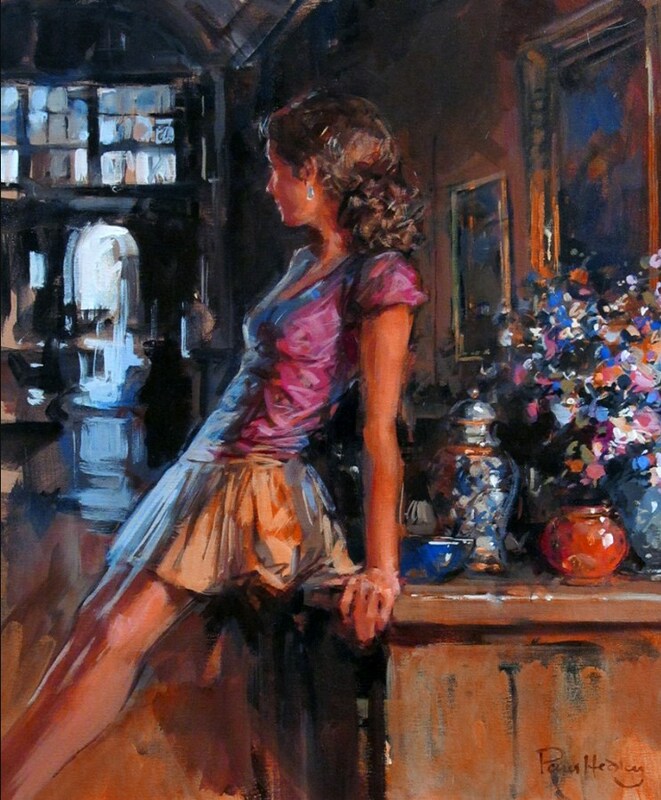 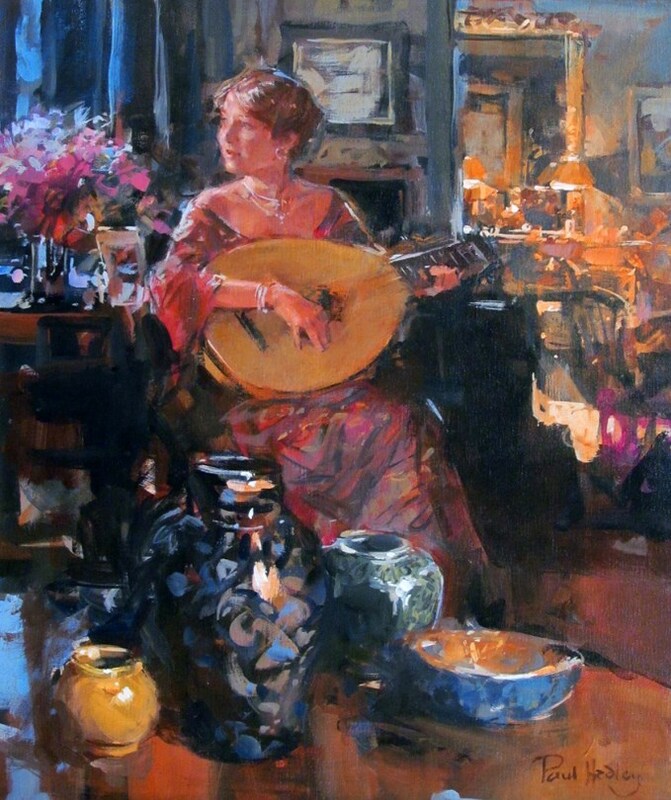 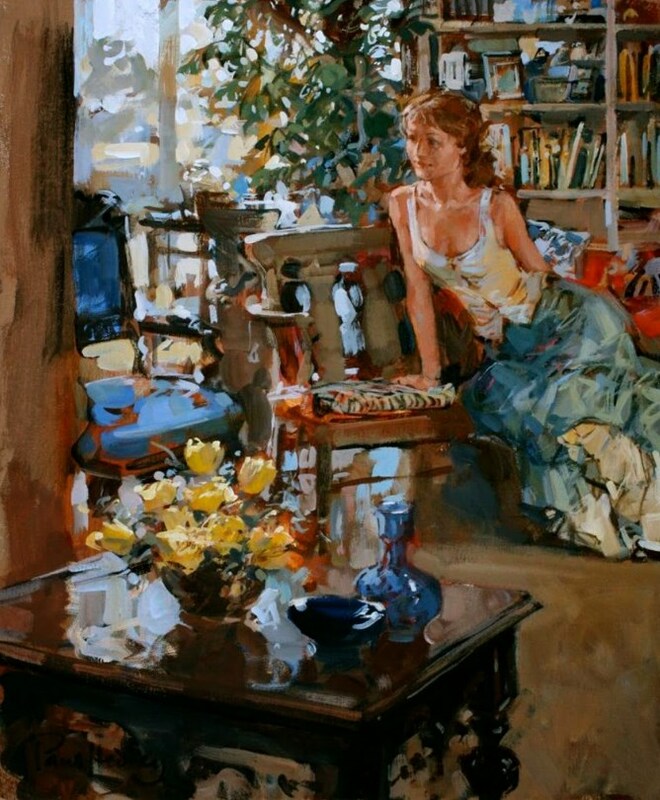 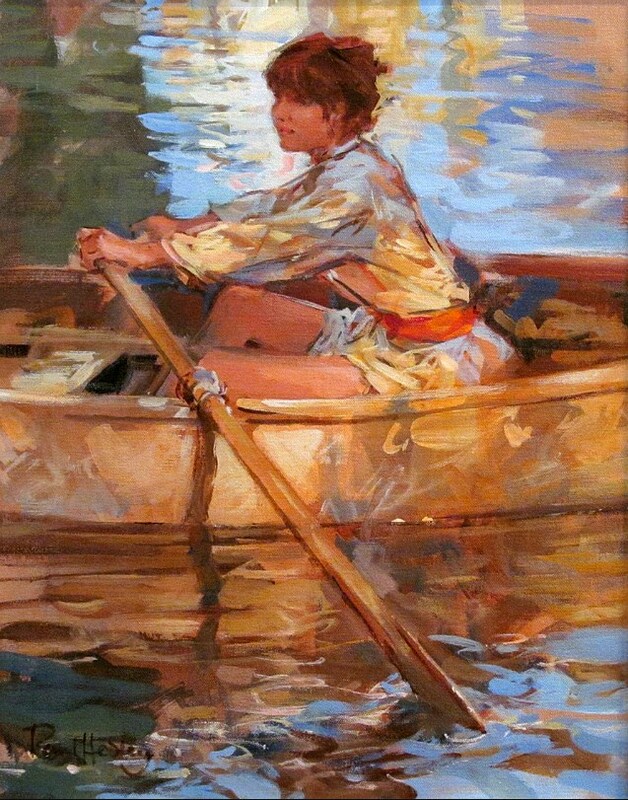 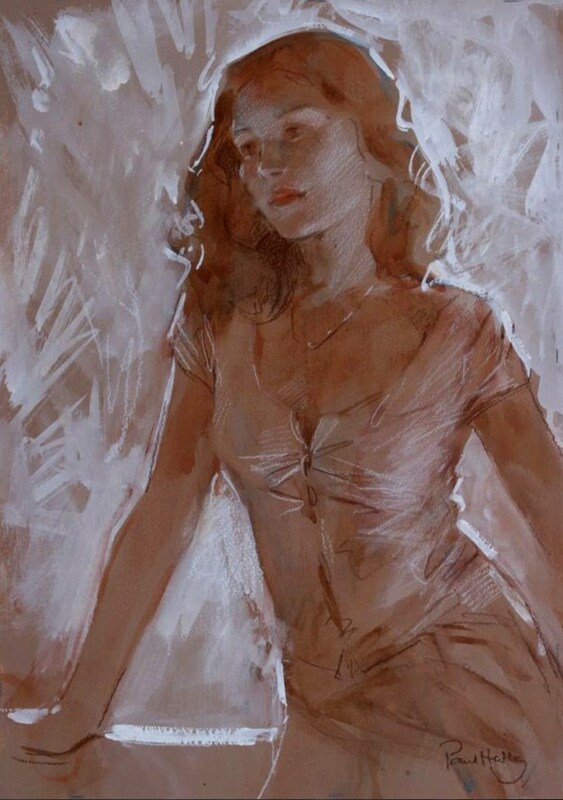 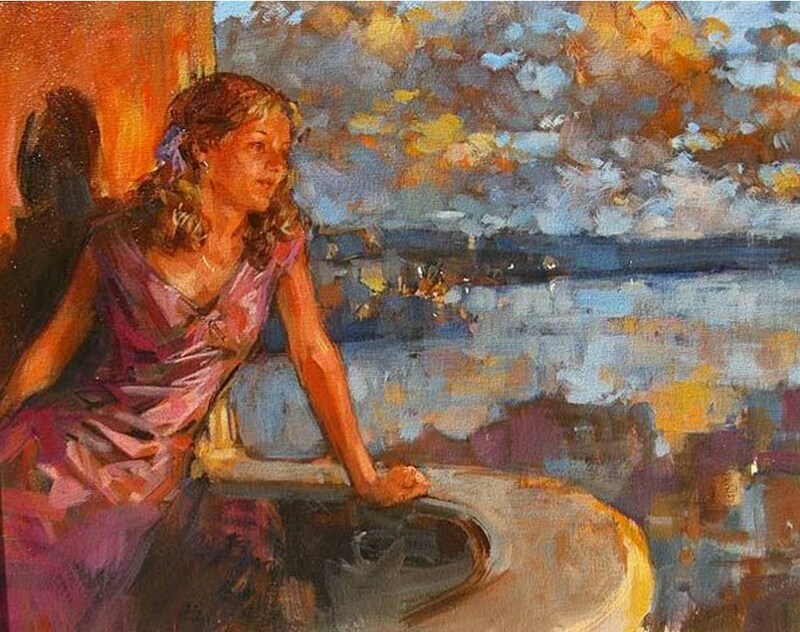 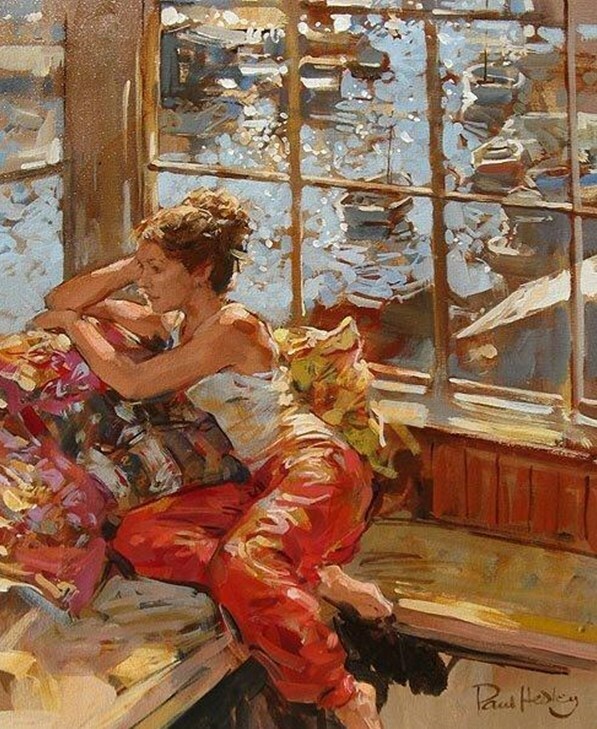 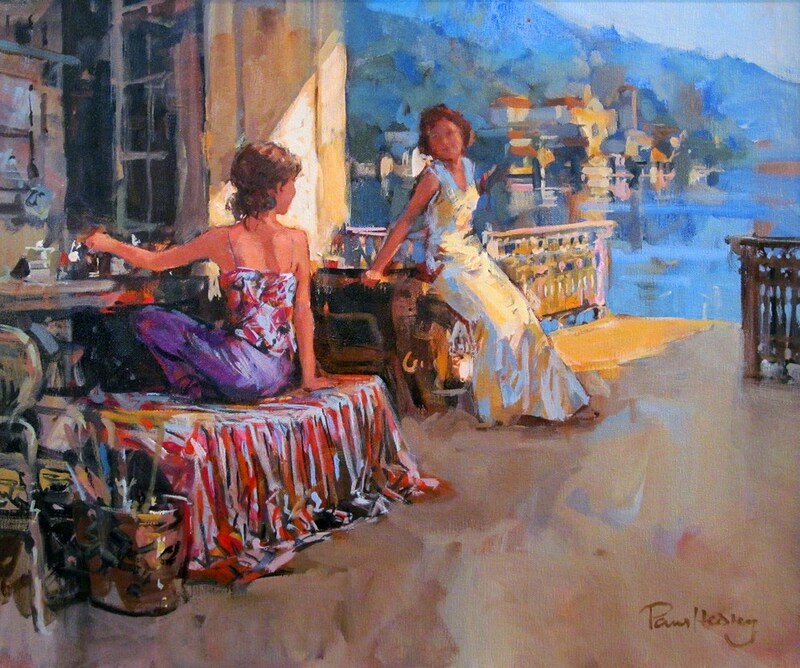 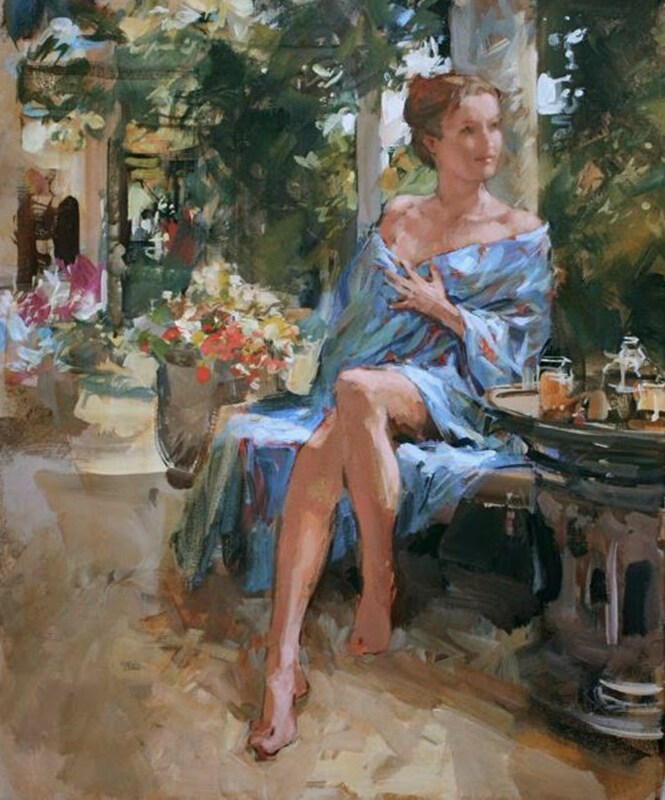 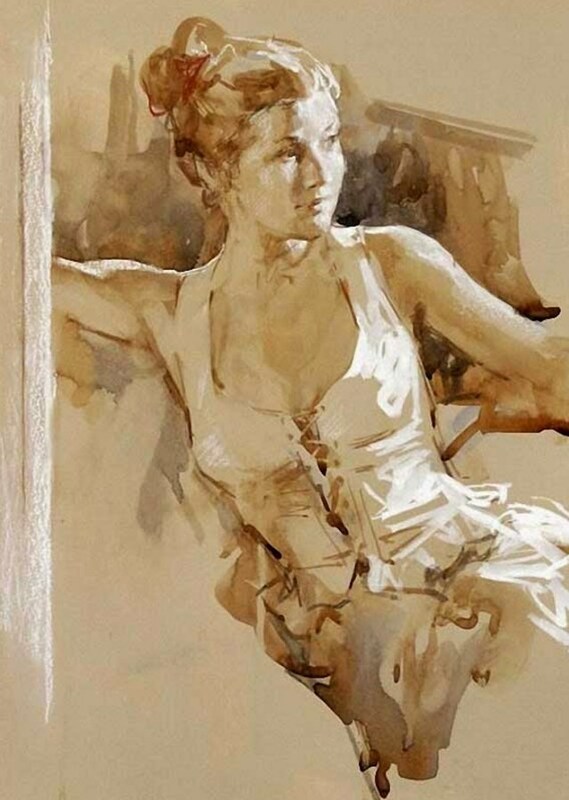 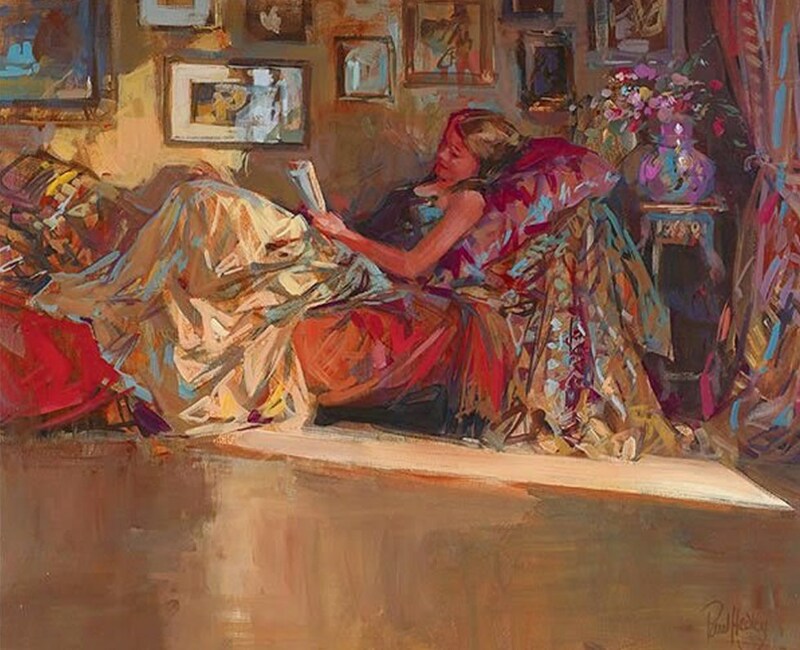 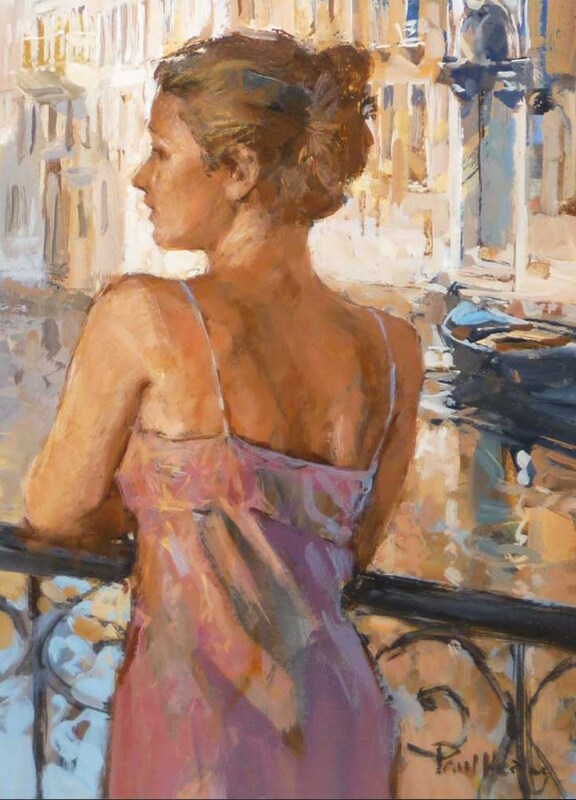 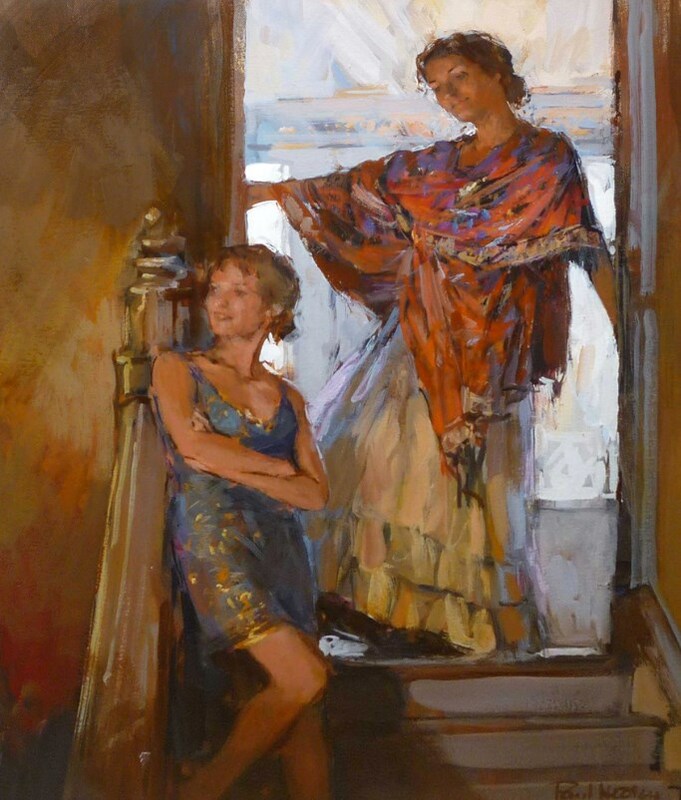 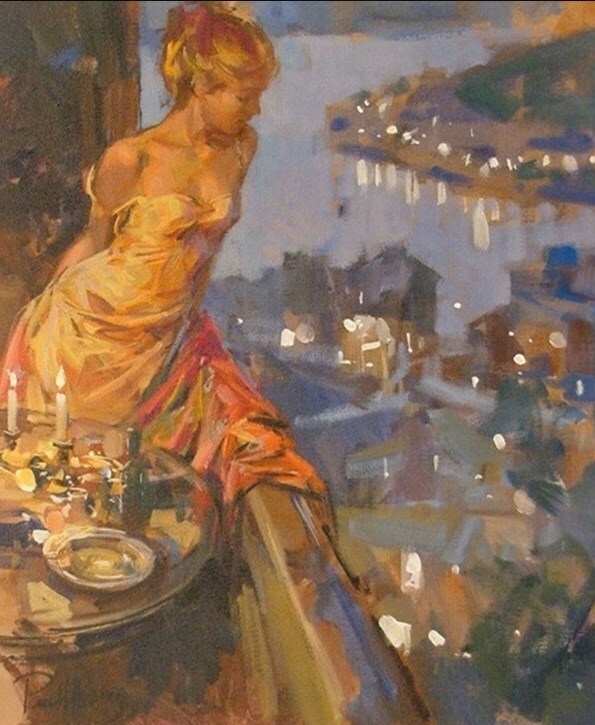 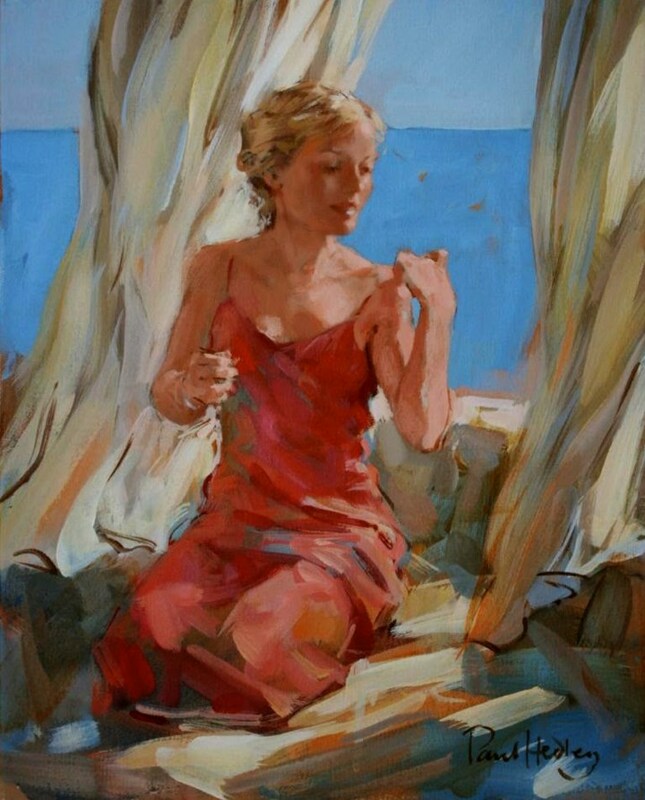 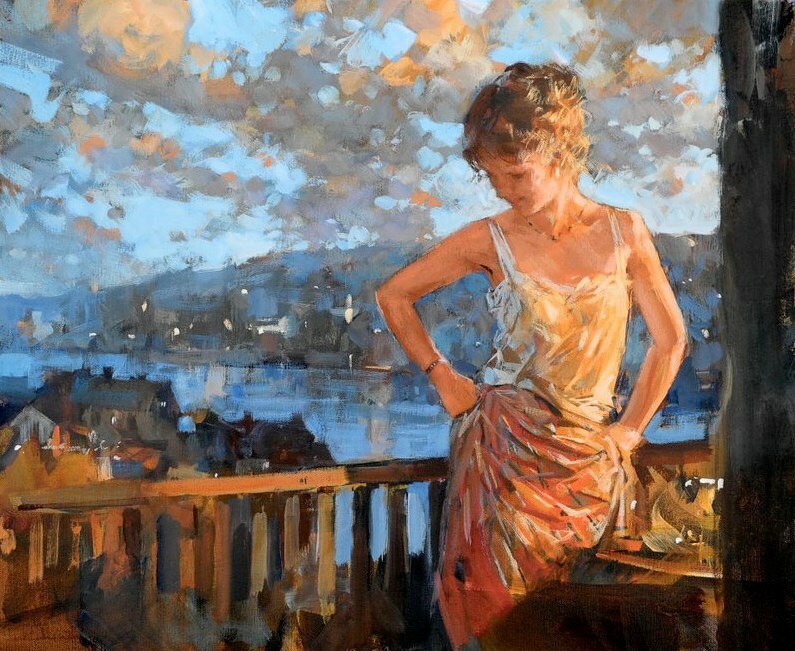 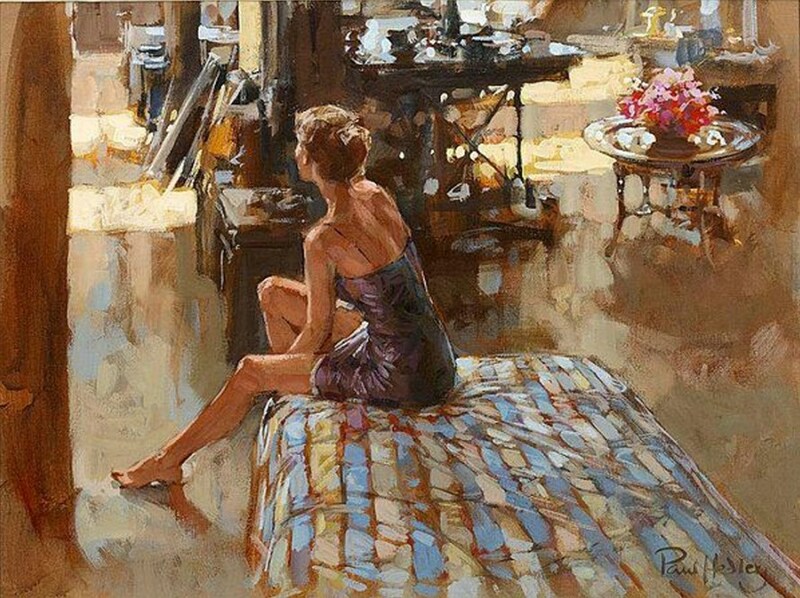 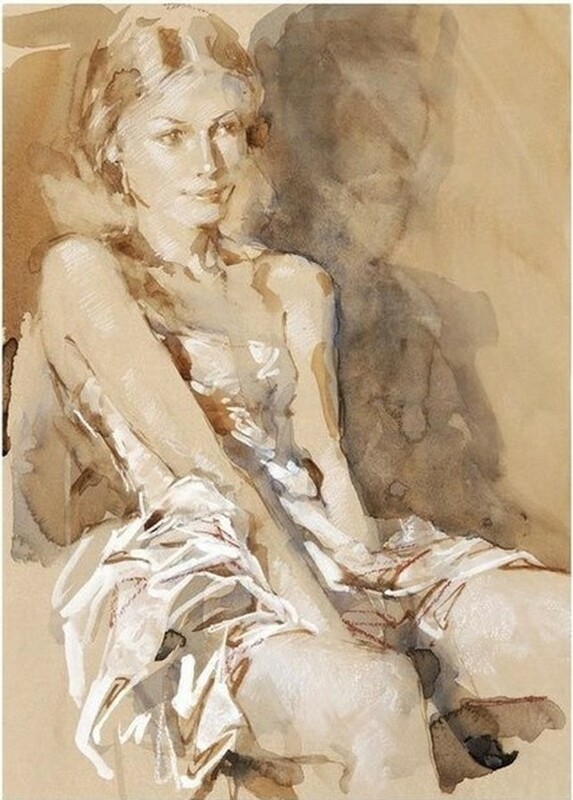 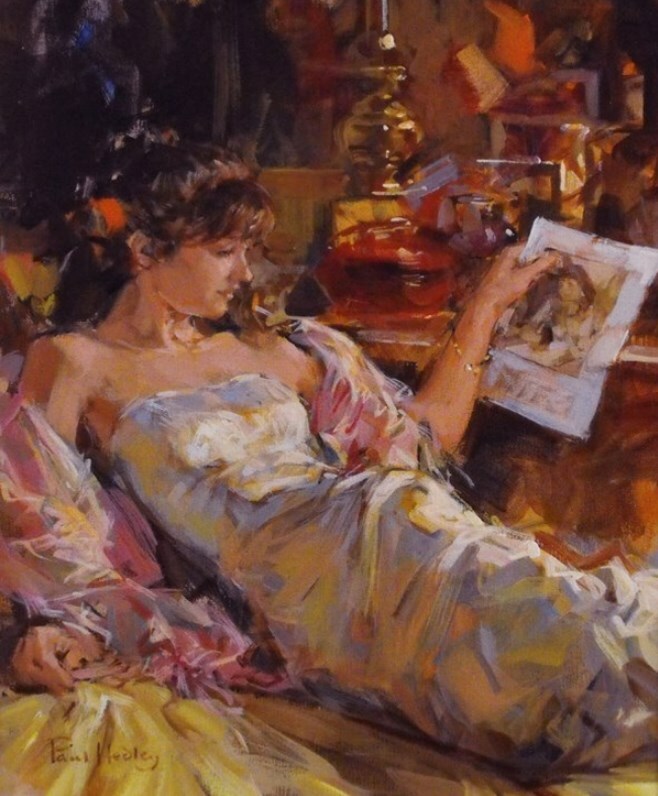 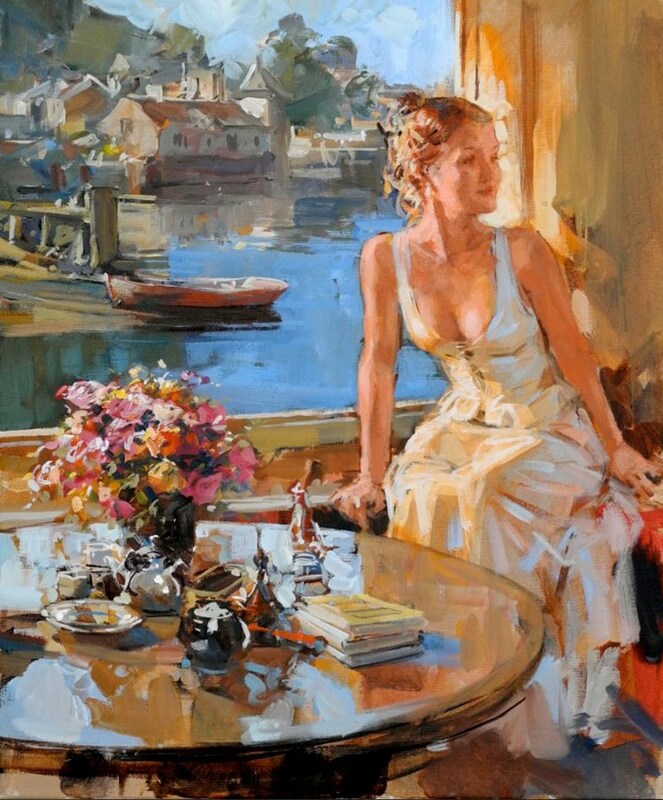 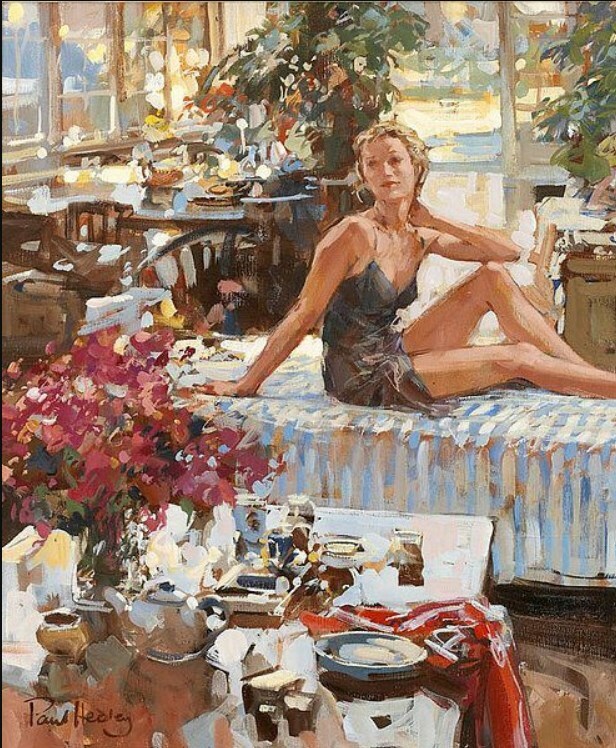 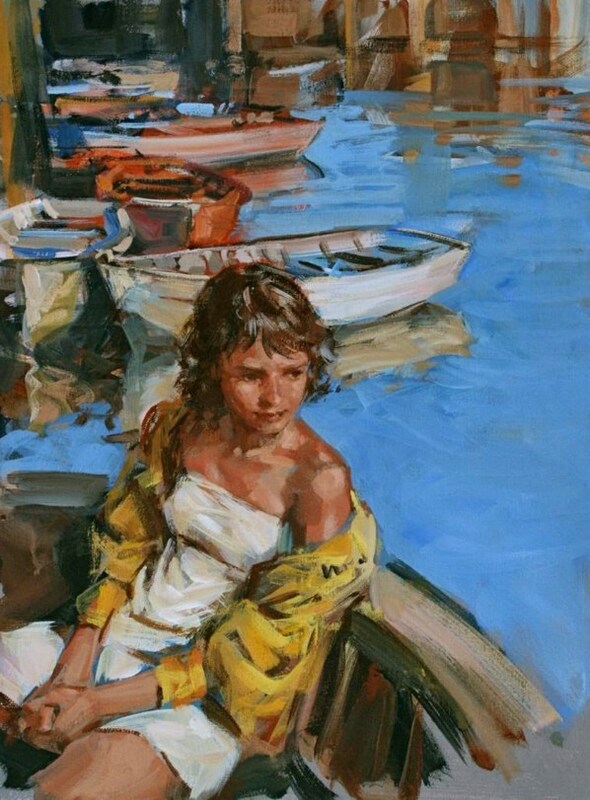 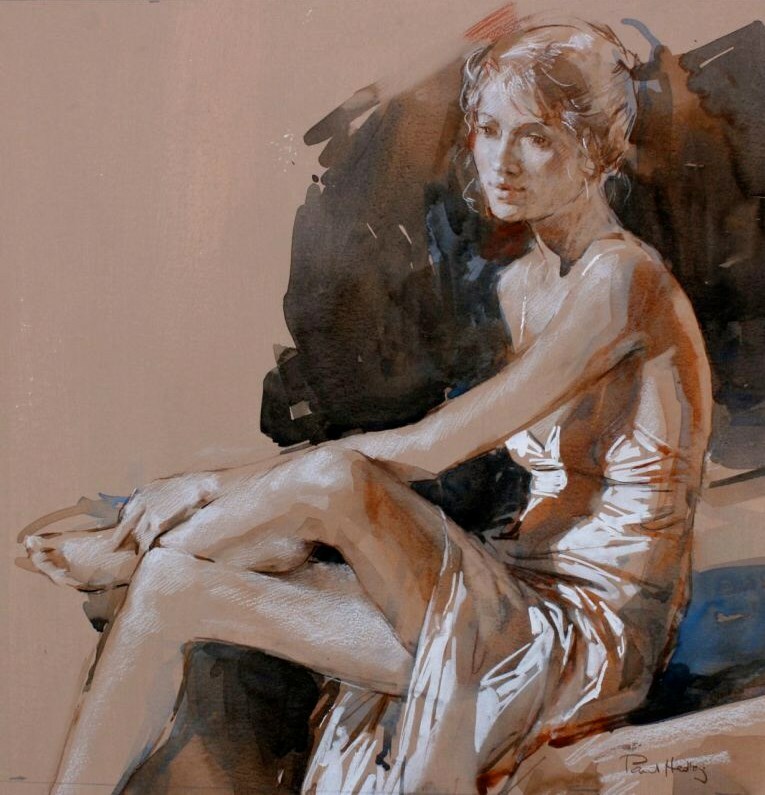 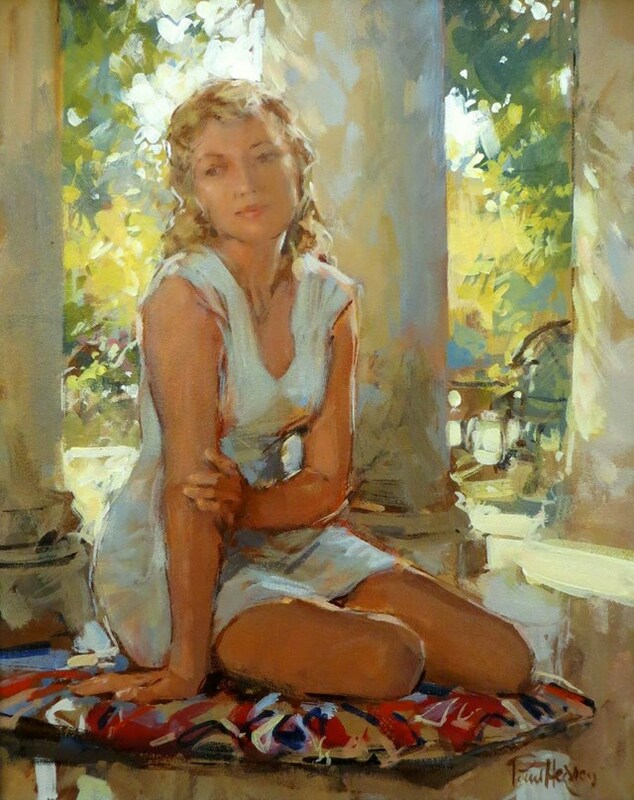 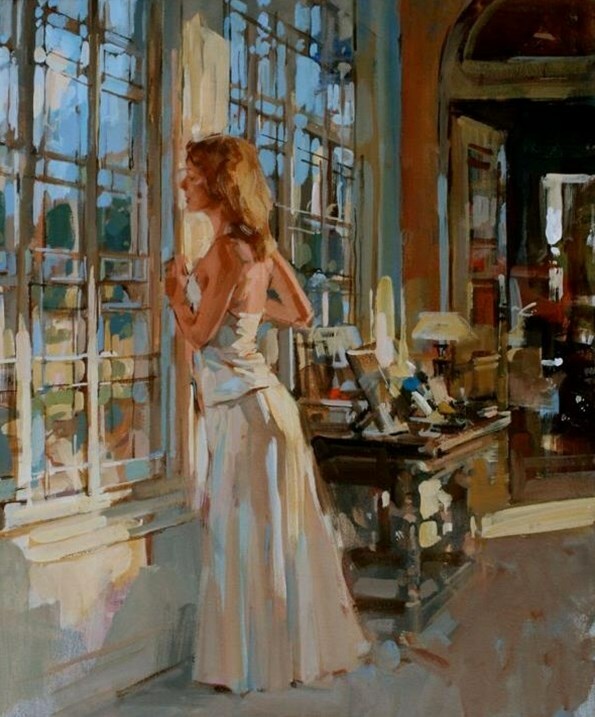 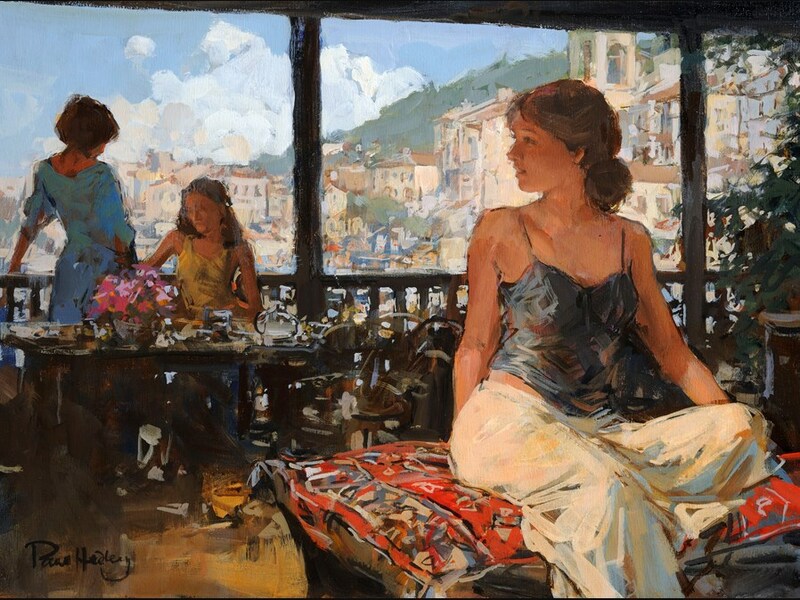 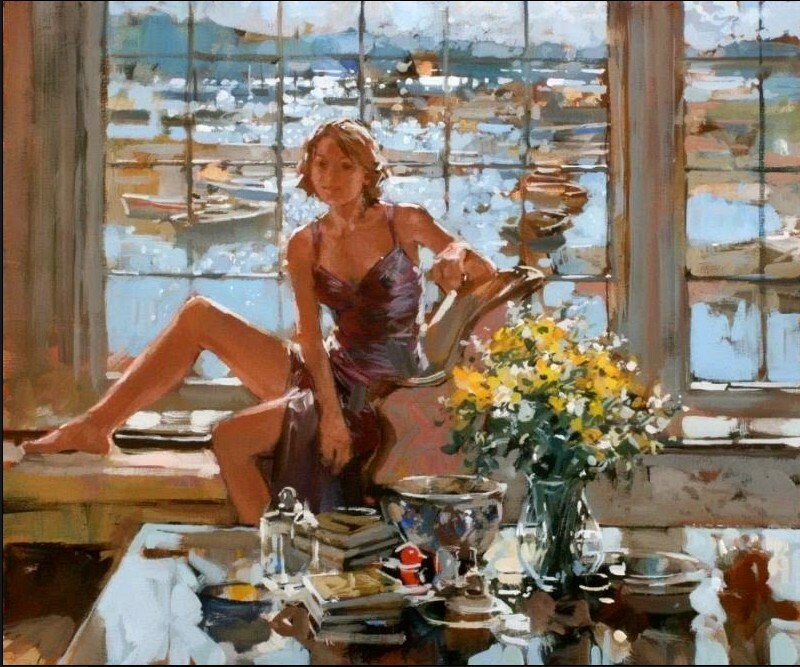 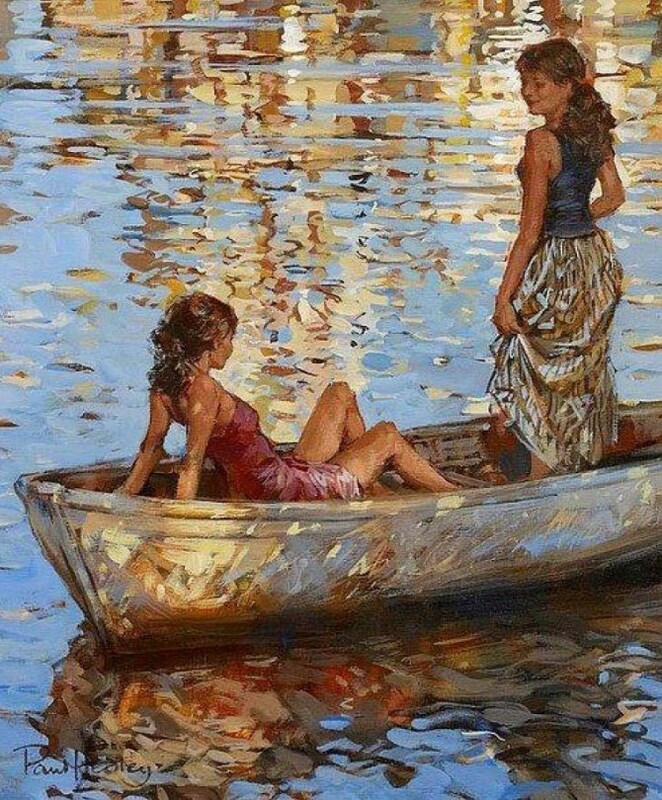 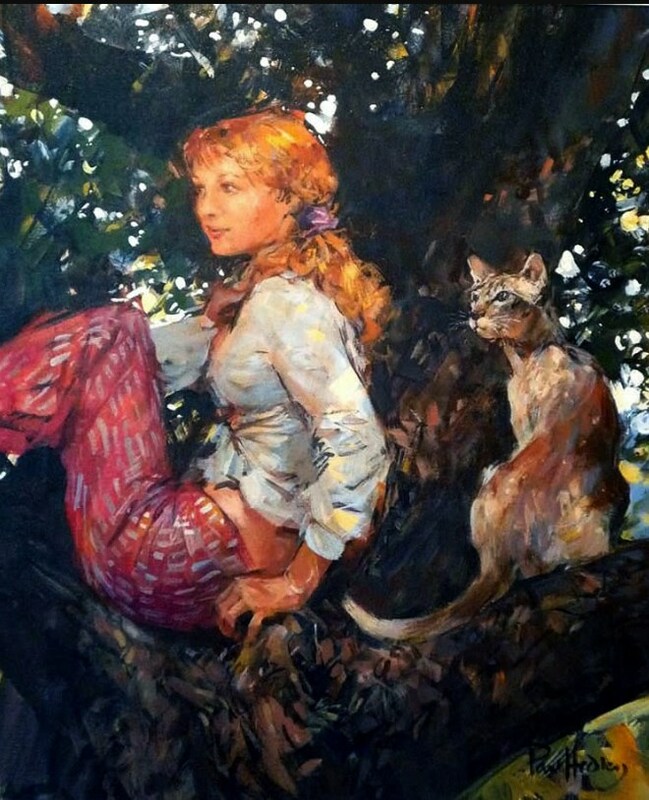 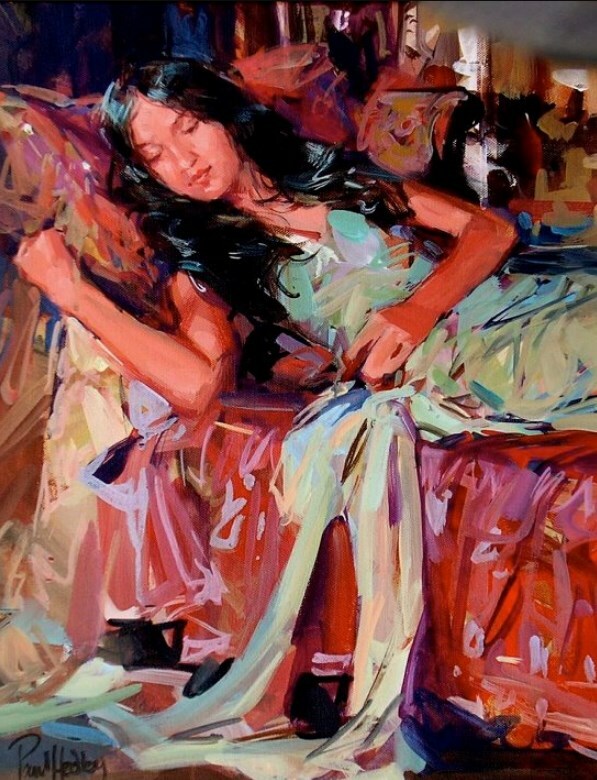 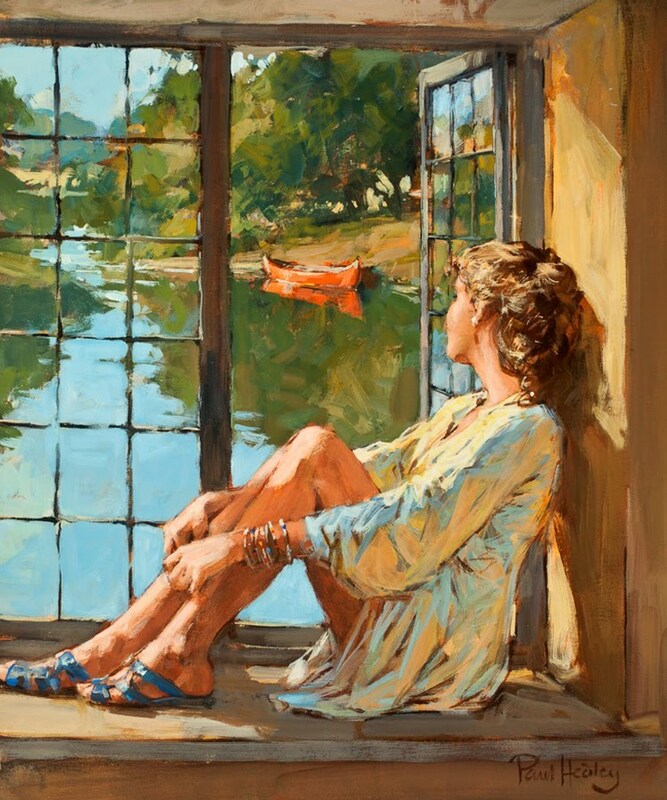 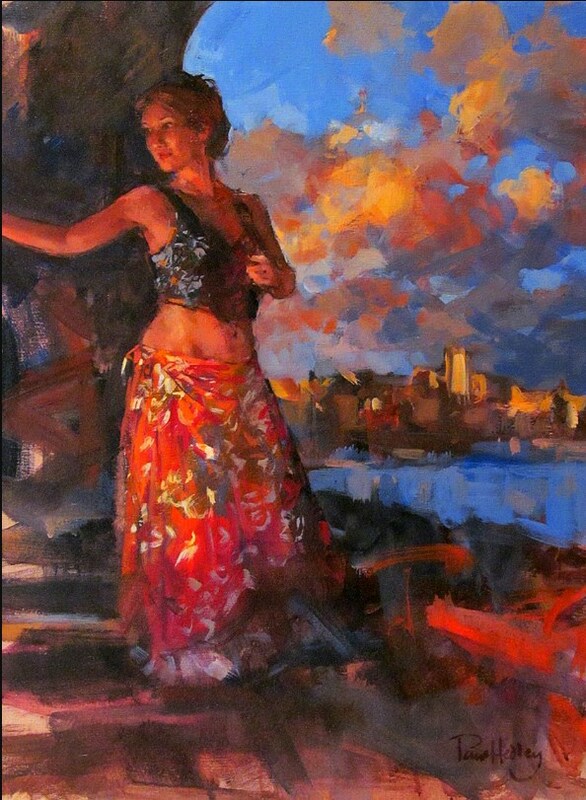 Paul Hedley has been painting ever since he can remember. 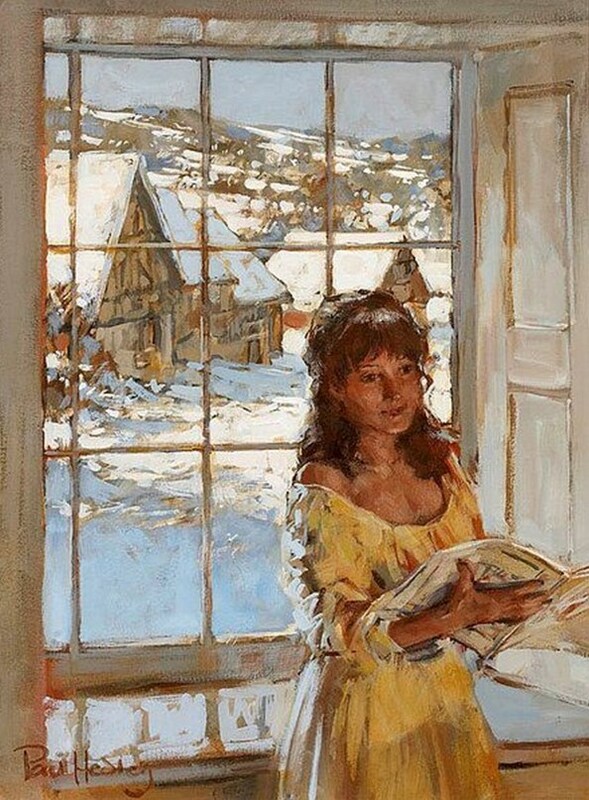 An education based on traditional art techniques of drawing and painting plus the influence the French artists Edgar Degas 1834-1917 and Edouard Vuillard 1868-1940 have influenced the development of his art works. 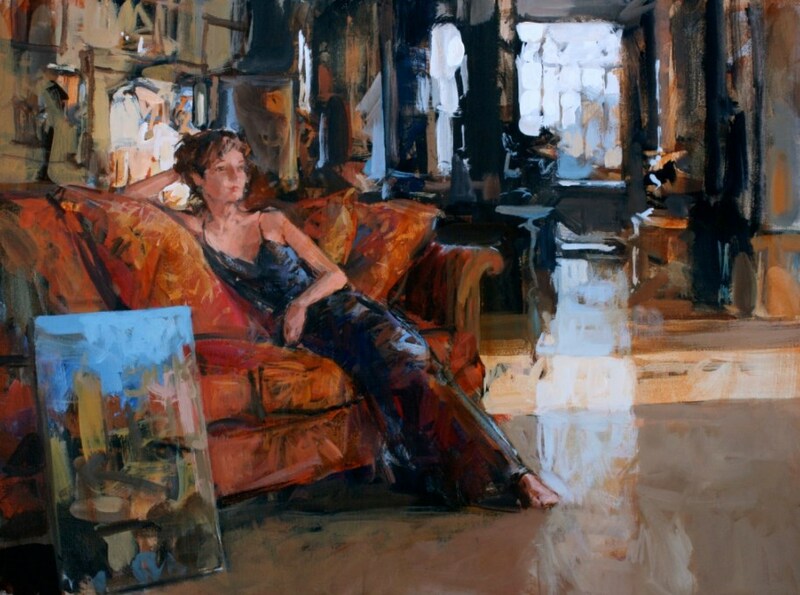 Paul paints with compulsion, subtly influenced by his environment and daily experiences. 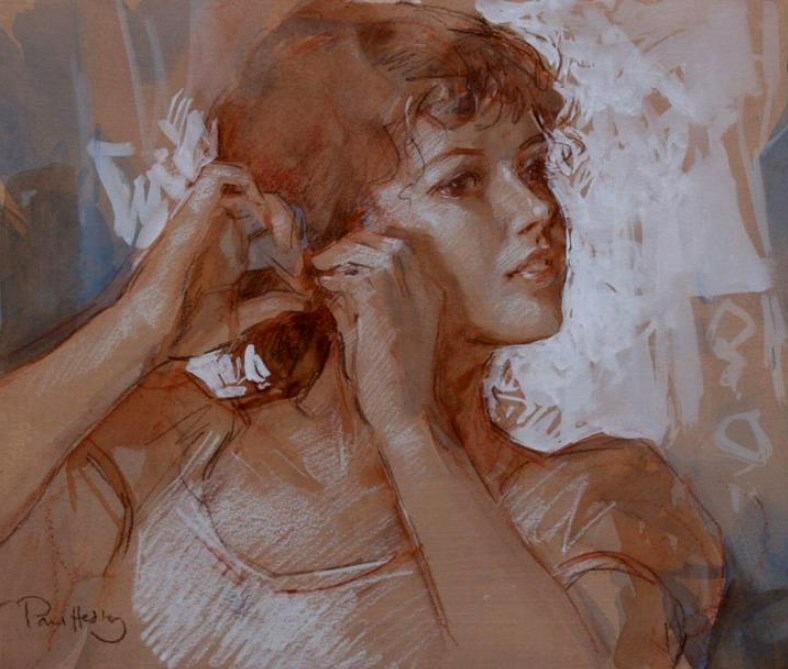 Hedley is technically gifted as a painter and draughtsman. 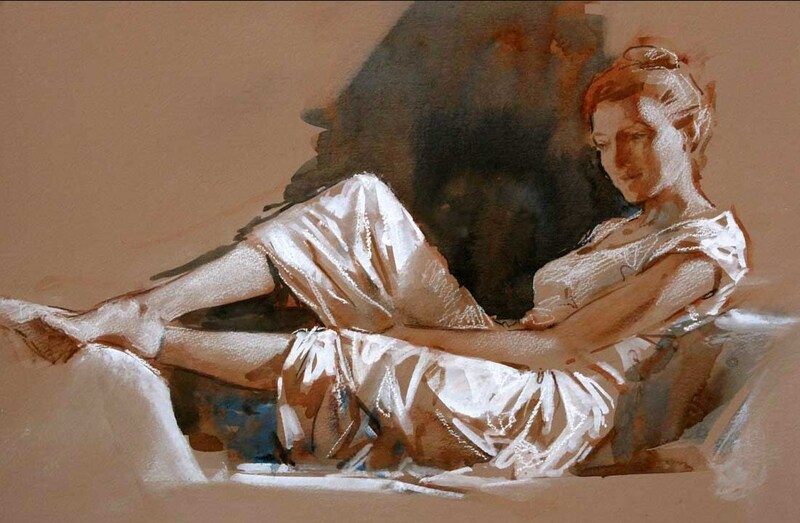 His paintings and drawings show a fine skill particularly in producing figurative studies of enduring compositions. 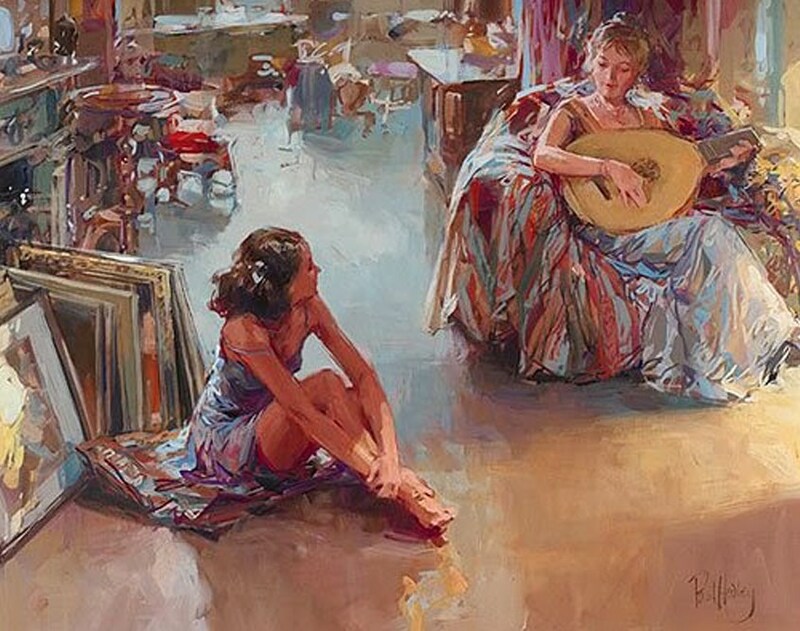 He successfully captures a fleeting moment of time and the associated feeling. 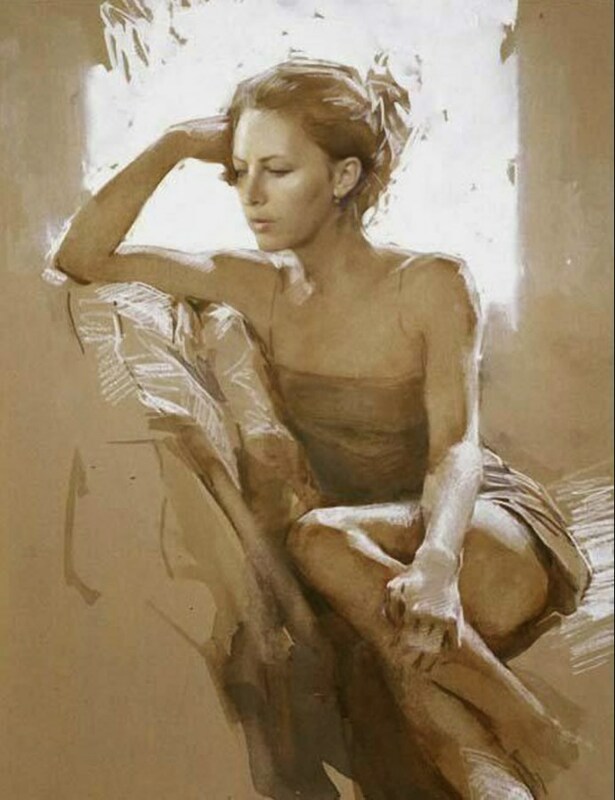 Paul prefers to create his art work in natural light, using sketches and photographs. 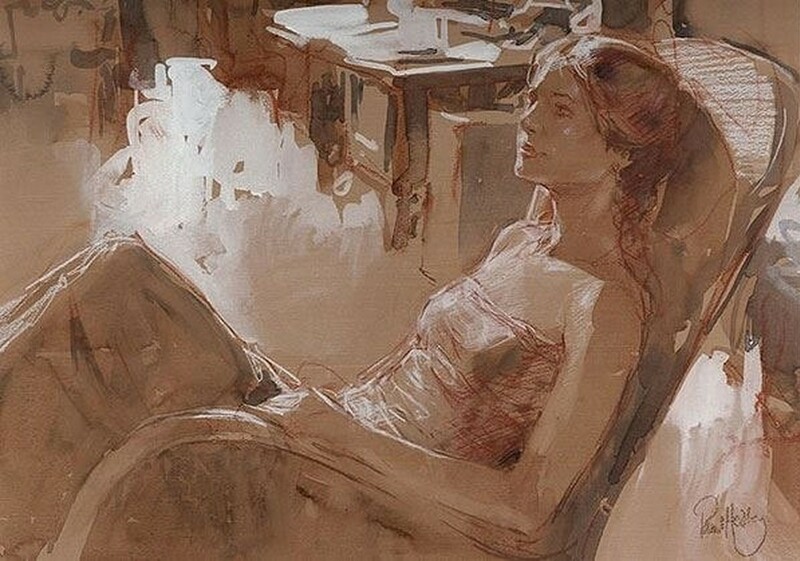 The process begins with numerous preliminary sketches which eventually leads to the application of tone and colour. 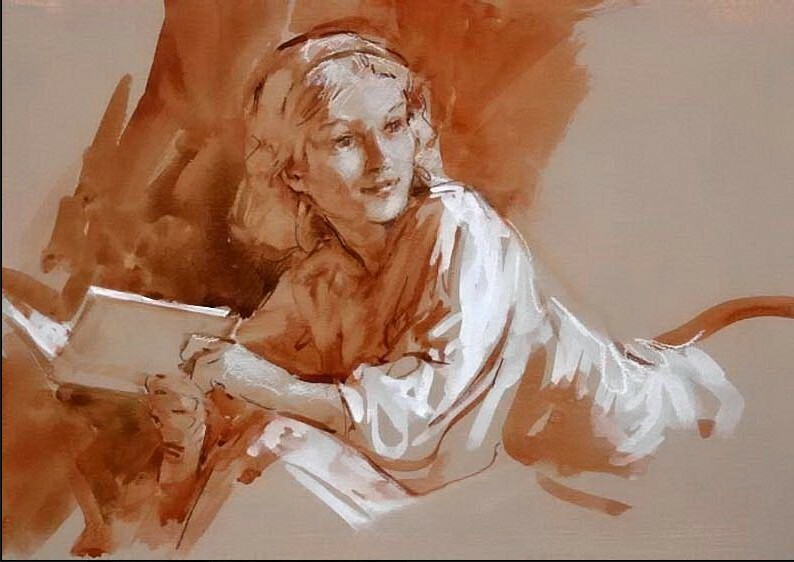 His drawings are produced in a ‘classical’ manner on a toned ground in chalks often combined with watercolour and gouache. 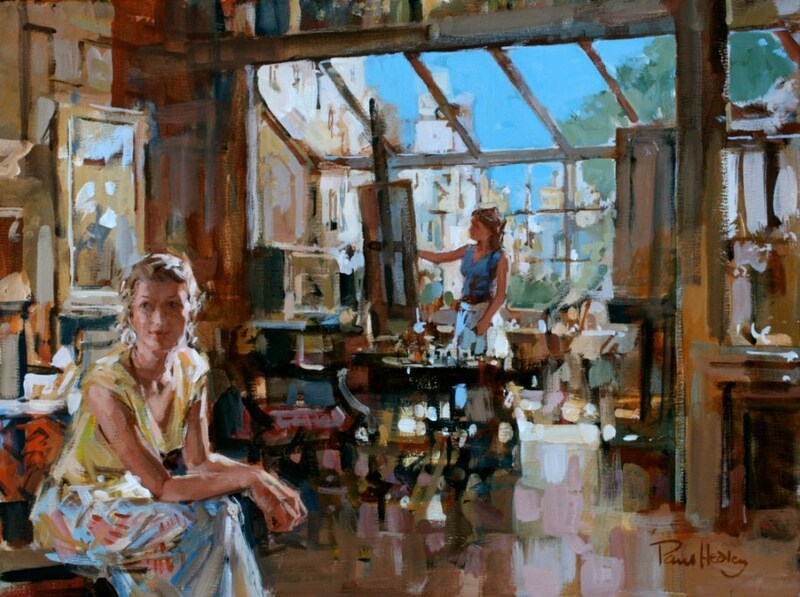 Paul lived in France for a number of years and currently lives in the south west of England. 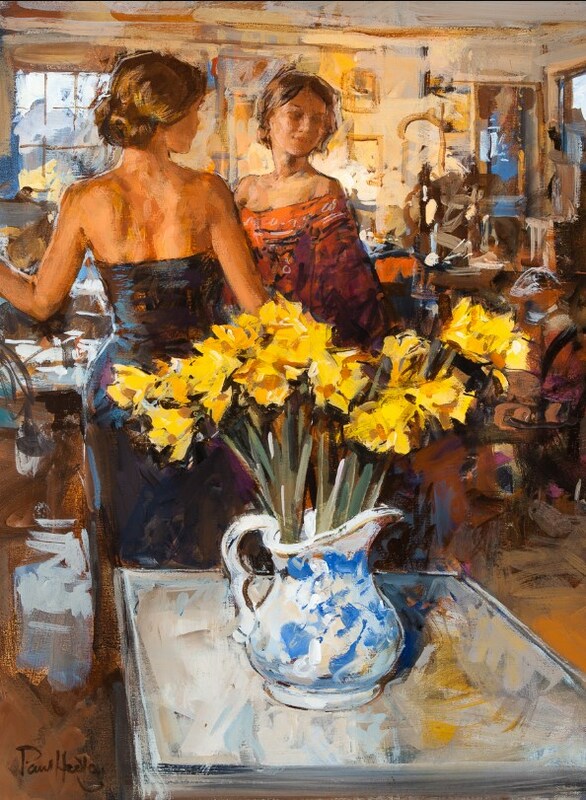 He is married to the artist Dianne Flynn. 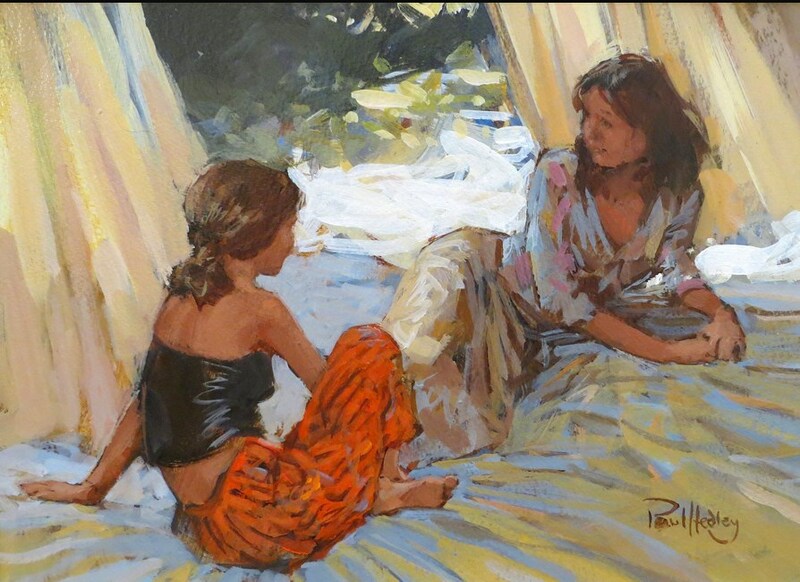 Paul has paintings and drawings in numerous private collections and has exhibited throughout the country; he currently exhibits in London, the Cotswolds, Yorkshire and New Zealand.